Yep, beer. We has it. Come and gets it. 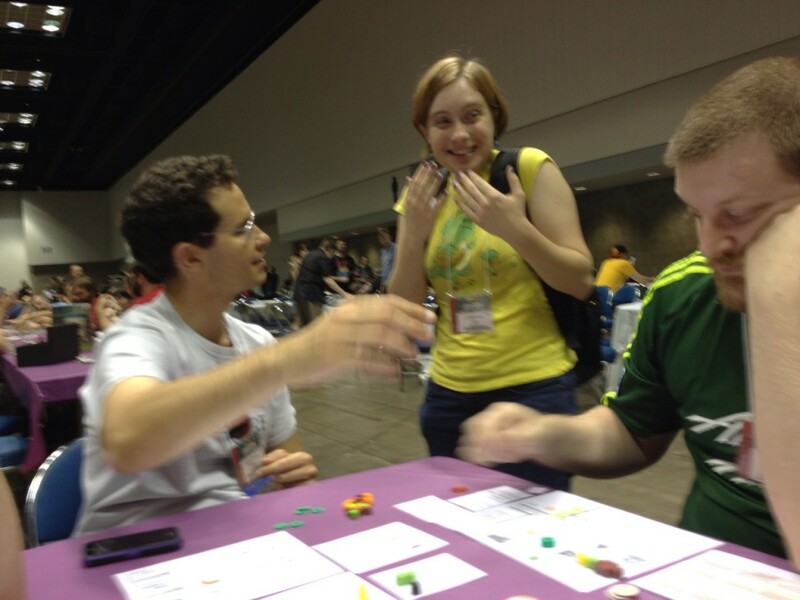 A very excited GenCon goer who happened upon a Brew Crafters playtest. Beer and cardboard has that effect on people. Ben Rosset! Get a nickname!